Well worth three minutes of your time. Ah, Bauhaus. Now this takes me back to my teenage semi-goth years (I always liked bands like A Certain Ratio, New Order and Cabaret Voltaire to ever go Full Goth) listening to the likes of “Bela Lugosi’s Dead”. Listening to it now on Spotify, I’d forgotten quite how dubby the opening few minutes are. Maybe there’s a bit more to these Goth folks than met the eye. “Third Uncle” is much less dubby than their most famous track, and much more the rocky post-punk band they really were. Lots of phaser on Daniel Ash’s messed-up guitar sound. Pete Murphy’s multi-tracked, desperate, angry vocals. But what’s noticable now is how many of their most famous songs are cover versions, this being a Brian Eno tune. And frankly, his version is that bit better. Sorry chaps. And I do have to wonder why a cover version’s on here again (and this is a theme I shall return to next article). Adam and the Ants still can’t be treated seriously by most people. But, alongside all the Antmusic stuff, he was a pretty shrewd operator, and by singing “Ridicule is nothing to be scared of” in his biggest hit, he was able to clearly define himself as a combination of absurd and vital. Ant had been around for a couple of years until he hooked up with dodgy impresario Malcolm McLaren1, who threw him a bone with the idea of using African tribal rhythms to underpin his sound, and then nicked his whole band. Undeterred – indeed, driven by this treachery – he hired a new set of musicians and had 6 hits in the UK in two years. Pitchfork have chosen “Kings Of The Wild Frontier” as their pick of his records, but it’s just got to be Stand And Deliver. Or Ant Music. Or Prince Charming. Oh, I don’t know. He was dreadfully handsome, wasn’t he? Anyway, for that whole period, he showed how you could mix an absurd image, strong tunes, and more than a hint of tongue-in-cheek showmanship, into a huge pop monster. Green Gartside, main man of Scritti Politti, never painted a stripe across his face and pranced round dressed up as a dandy highwayman. He was far too arty for such japes. Originally a knotty, angular post-punk band, heavily influenced by The Pop Group and Gang Of Four and huge piles of speed and alcohol, Green totally changed his sound after a night out following a show ended up with a stay in hospital. Whilst recuperating at his parents cottage in Wales (rock and roll, dude!) he decided to move the band in a pop direction, fusing soul, funk and lover’s rock with traditional English pop music. And what’s more, he wanted hits, lots of them. The first song released on the new direction was “The ‘Sweetest Girl'”. 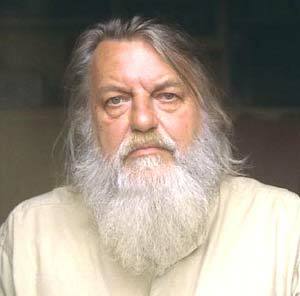 So sweet that it could send a diabetic into a hyperglycemic coma from 10 paces, and featuring Robert Wyatt on piano, it wasn’t a hit (it only got to number 64 in the UK chart), but it did demonstrate what Green could do once he threw off his self-imposed Marxist shackles. And the hits would come, eventually. Not sure it’s really my thing though. It makes my teeth ache. That’s the second part of the four part The Brits Are Coming series, and it has to be said, the weakest by far. There’s some right crackers coming up, I can tell you. 1 Read the section on Bow Wow Wow in Simon Reynolds’ excellent “Rip it Up and Start Again if you want to find out just how dodgy. If he did that sort of thing these days, he’d be put in prison, and rightfully so.